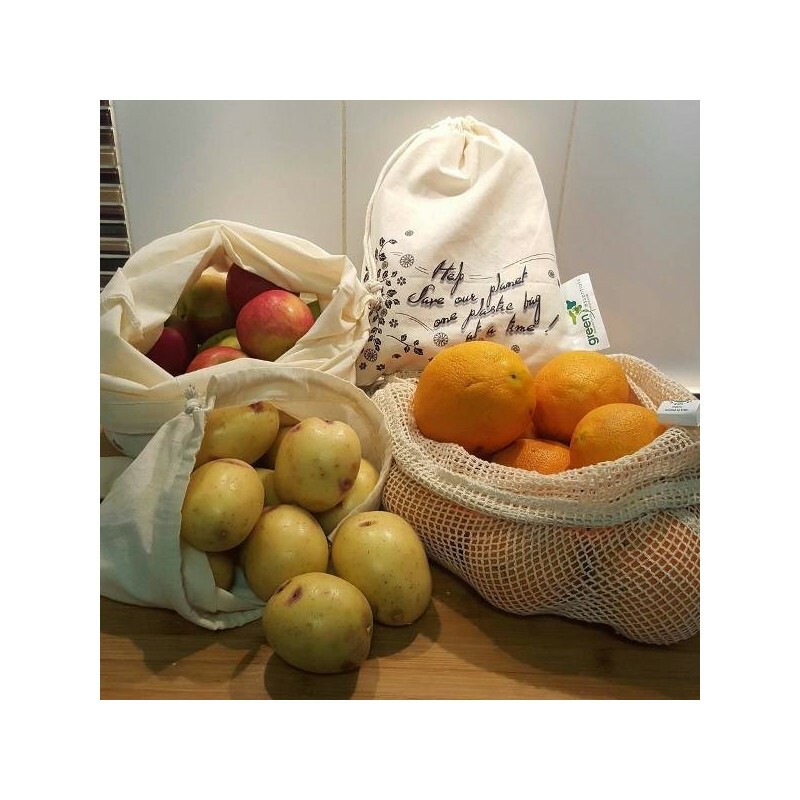 A certified organic cotton produce bag to collect your fruit, vegetables, nuts and bulk goods at the market or store instead of using throw-away plastic bags and paper. Pick and store without petrochemical plastic! One lightweight drawstring bag. Close weave material makes the bag perfect for collecting your precious produce from the markets and/or store. Browse our other reusable product bags. 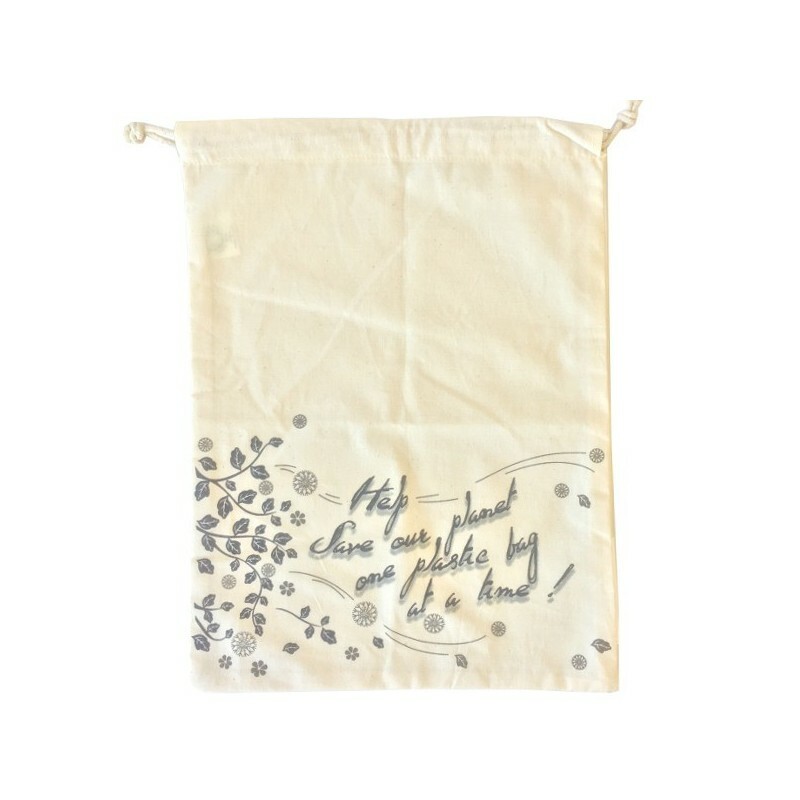 Lightweight and I like that it is organic cotton and reusable. I am well and truly stocked up. 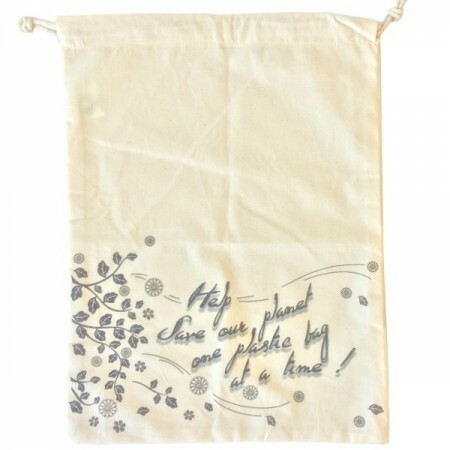 These bags are my favourites because of their cute design really, and the fact they are organic cotton. I think the message is so sweet and positive!